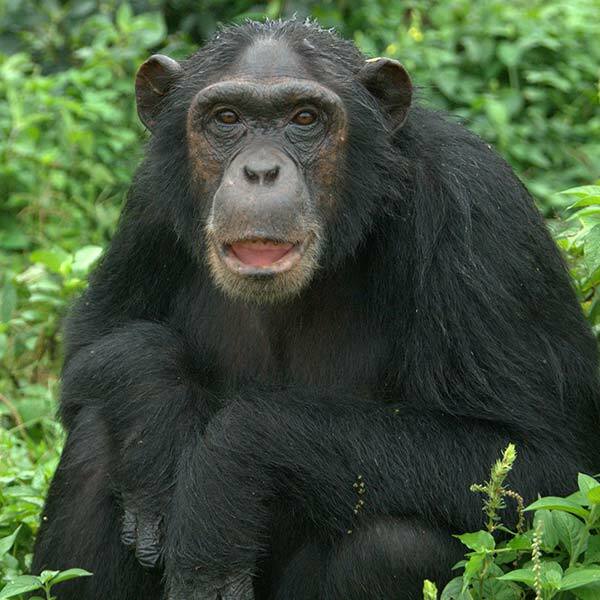 My name is Becky and I arrived at Ngamba in 1998 with Sally. Since then, we have remained close friends and spend most of our time together. In fact, I can get very agitated when separated from her. We are both also fond of the younger chimps and always part of the ‘welcome committee’ when a new individual is introduced. During feeding times I can be heard making a ‘haa haa’ sound if I’m not getting enough food and will even hit my stomach to indicate that I need more.